Inland Fisheries Ireland noted the presence of wild Atlantic salmon parr in the river, a sure sign that adults have successfully recolonised the river to spawn. The return of wild salmon to the Tolka is a result of coordinated effort from several state agencies, including Inland Fisheries Ireland, The Office of Public Works, and Dublin, Meath and Finglas County Councils to implement flood relief works on the river. These works included the removal or modification of several man-made weirs to “open up” the river to migratory fish. Soon after that work was completed Inland Fisheries Ireland say that migratory sea trout started running up the Tolka again for the first time in 150 years. Now it seems they’ve been joined by their larger cousins, the Atlantic salmon. The presence of salmon, which only survive in clean water, is also a testament to the work of the County Councils in improving the water quality of this largely urbanised waterway. 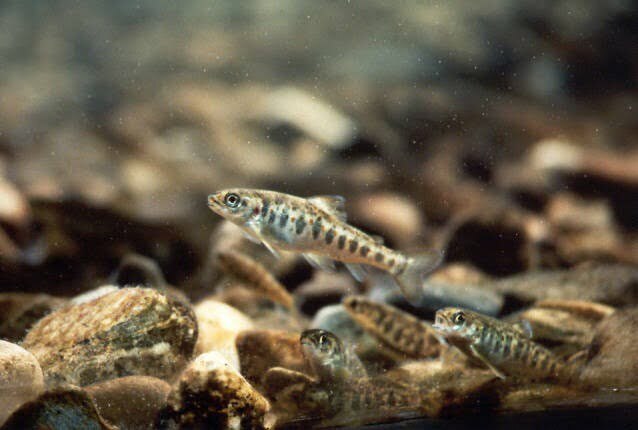 ‘Up to the year 2000 Dublin and Reykjavik were the only two capital cities in Europe which had a wild Atlantic salmon stock in a river within city boundaries,” said Dr Ciaran Byrne, CEO of Inland Fisheries Ireland. “Now Dublin can boast about having three salmon rivers within its boundaries – the Liffey, Dodder and now the Tolka! In environmental terms this is an important step forward’. I think they released fertilised salmon eggs into the river system, hence the resulting junevile salom would think it’s their natural birth water,,I think!